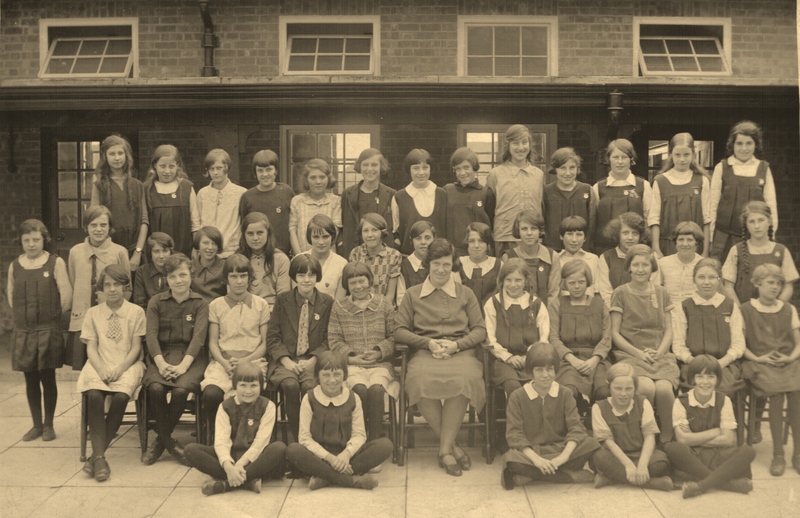 Pam Bates has made several contributions to the Old Ilkeston site and I want to thank her once more for sending a group of fascinating school photos which you can find below. This got me thinking (!!) — there may be other people out there who have got similar photos which they might like to share. So I have started this new section with Pam’s collection, in the hope that it might grow …. we shall see. Pam is the great-granddaughter of Amos Beardsley, master baker of South Street and his wife Sarah (nee Birch, born in 1843). Sarah’s younger sister, Mary Birch (born in 1850) married West Hallam-born Thomas Ebbern, butcher of Bath Street, in 1872. Their youngest child was Annie Ebbern (born in 1892) who married Arthur Edwin Paling, coalminer of Cossall in 1915. Thus we have a link between Beardsleys, Ebberns and Palings…. and between Ilkeston and Cossall. 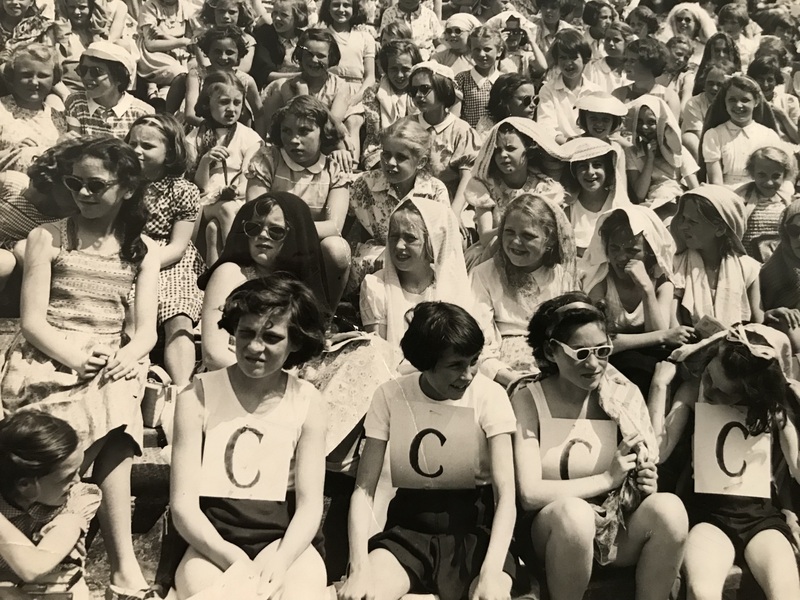 Pam has sharpened up this first photo (below) as much as possible in her attempt to make the name-board held by the young lass in the front row as legible as she can. 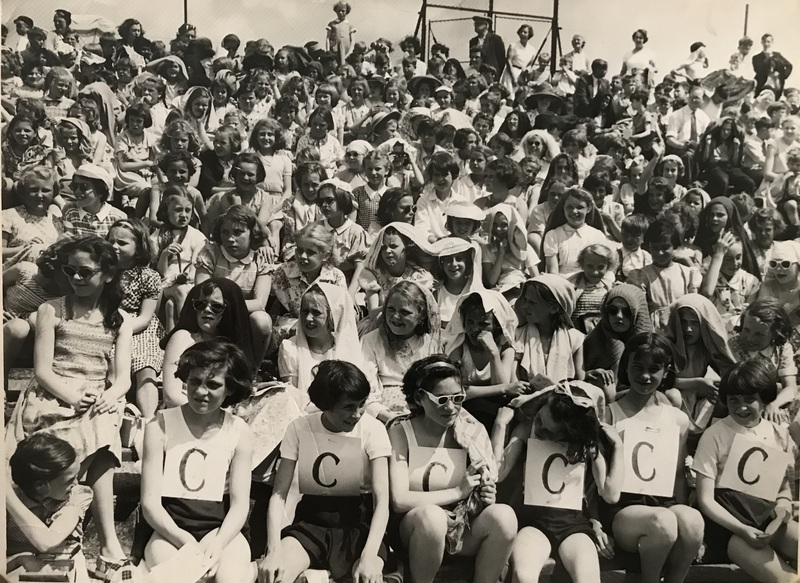 Her conclusion, supported by her husband, in that it bears the words ‘Cossall School, Group 3’ with the year ’89, top right … and I would agree !! Wright’s Directory of Nottingham 1888 lists Cossall as having a National School, the Mistress of which is Miss Harriet Broadhead born in Brampton Bierlow, Yorkshire in 1856. 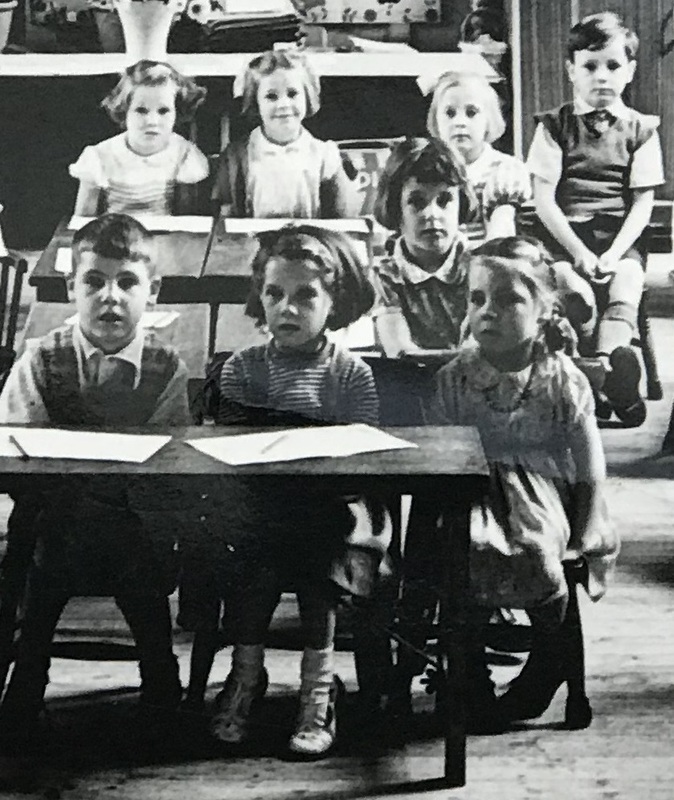 She had lived in Cossall village at least since 1881, appearing on the census of that year as a school mistress/ lodger with an aged widow, Eliza Cross. Is that Harriet on the left ?? Unfortunately we cannot be sure, as Harriet doesn’t feature on the 1891 Cossall census. I believe that she returned to her native Yorkshire and married Andrew Ping, Clerk in Holy Orders, on Christmas Eve 1889 .. at Wentworth Church, close to her birthplace. On the 1891 census the Cossall school mistress is very recently-married Mrs. Elizabeth Helen Thompson (nee Hind), aged 28, wife of iron turner David. Is it Elizabeth Helen in the photo? 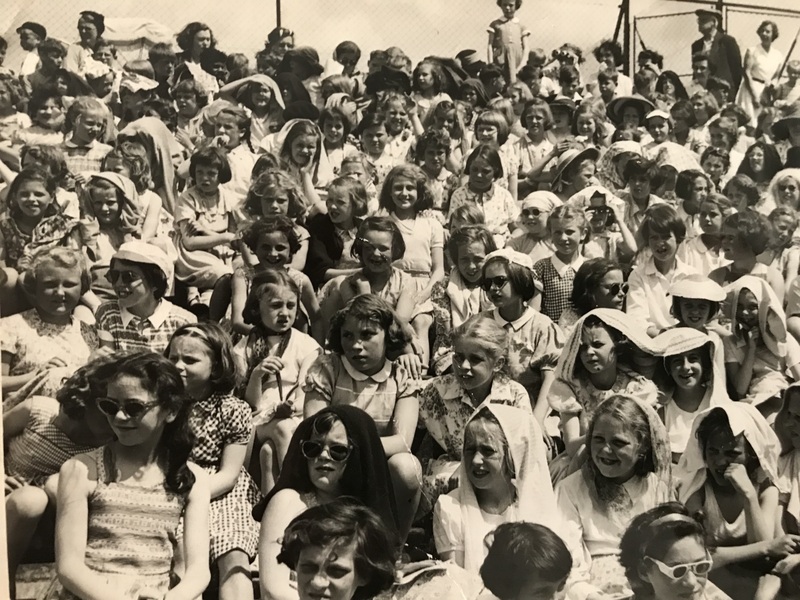 Although the photo is in Pam’s family collection, she is not sure of its connection … she suspects that it lies with the Paling family. Arthur Edwin Paling (the later husband of Annie Ebbern) was born at Babbington (adjacent to Cossall) on September 21st 1885, son of coalminer Thomas and Hannah (nee Cook). There was an older brother Thomas William, born February 24th 1878. The family is living at Cossall on the 1891 census where both lads are described as ‘scholar’. Could they both be on the photo ? 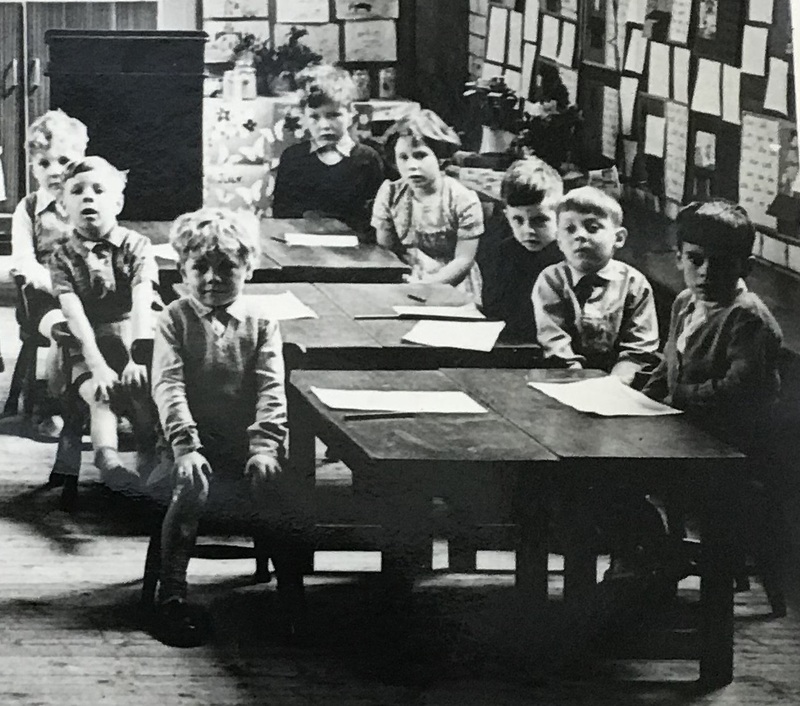 Thomas William on the back row with the other older boys ? .. and Arthur Edwin perched near the front ? This second photograph appears to have been taken a year or so later. Pam guesstimates it be around 1890 ? She believes that the girl in the centre, with the spreading white collar, is an Ebbern or a Paling. I am sure there are people out there adept at dating photos like this !! Who says that School Days are the happiest days of your life ??!! …. although I do detect the beginnings of a smile on at least one face. 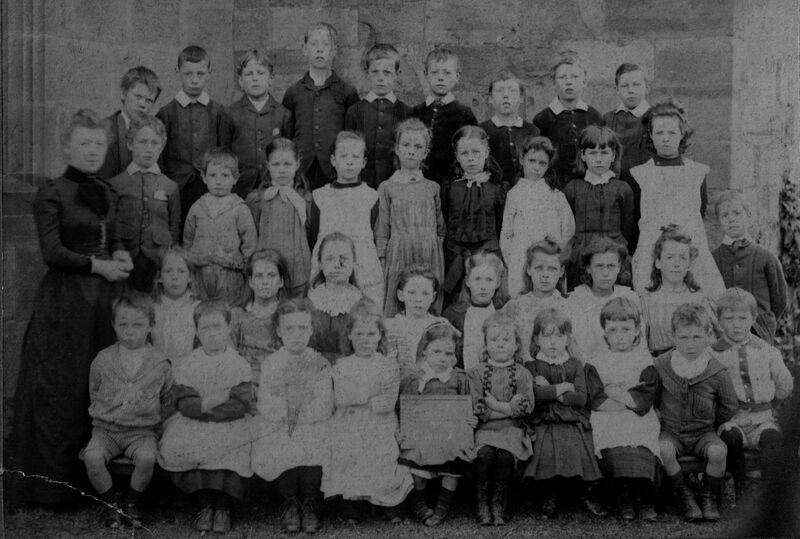 Arthur Edwin and Annie Paling had at least four children, including twins May and Elsie (can you spot them in the photo ?) born on August 24th 1916. Pam thinks that they appear to be about 5 or 6 years old, dating the photo at about 1921/22. She knows that the family did live at 59 Green Lane, Ilkeston for many years and they were there at the beginning of the War in 1939…. I met twins Elsie and May twice in Ilkeston at 59 Green Lane. Neither married. Their caregiver was Pam Bemrose, she looked after them wonderfully, and Pam passed on the family photos to me when the ladies passed away. The anonymous background doesn’t help to place the school. 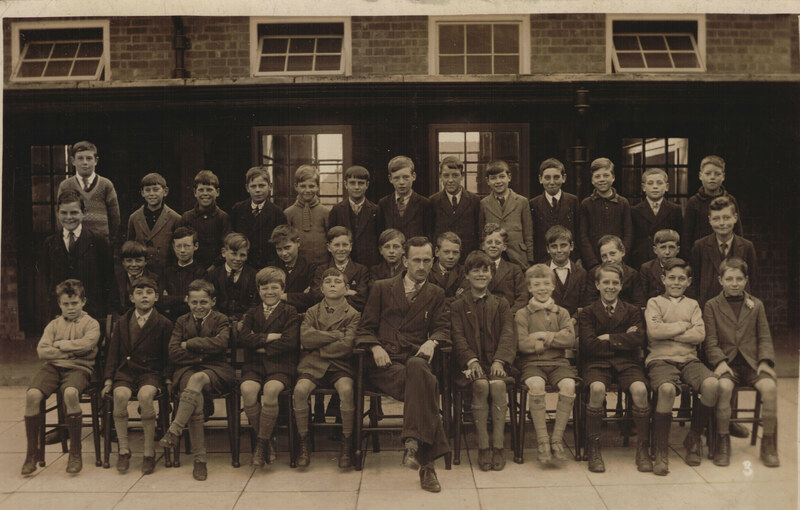 And here is the youngest member of the Paling family … Frank born on January 9th 1919, at the very top left. He looks about 10 or 11 suggests Pam. 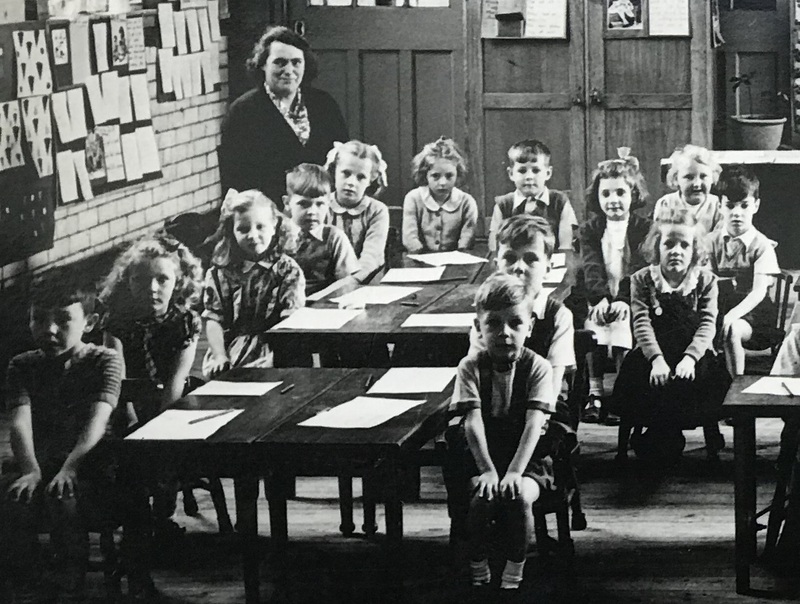 Could this be Hallcroft school? Smile ! And sit up straight !! Although one person appears to be slouching !!! And here are Frank’s twin sisters at the same school. Elsie is top left, second one in. May is top right, second one in. The girls seem to be about 12/13 ? … dating the photo to about 1929. 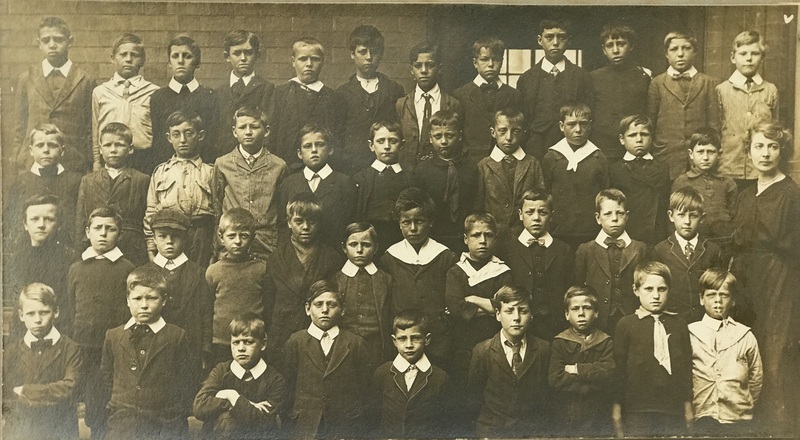 This seems a favoured place in the school for class photos. Does anyone recognise it ? These photos have come via an anonymous donor. S/he is sure that a family connection links all of them but is not certain what that connection is !! 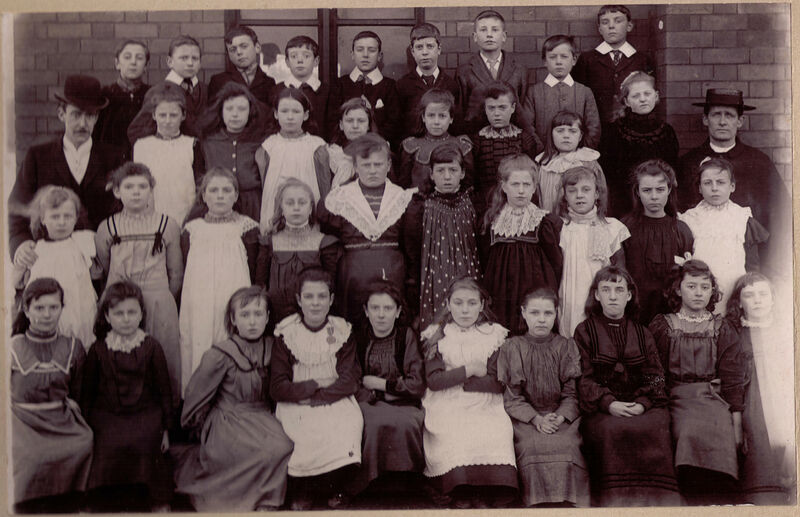 All these class photos were taken at Chaucer Street Schools … the first two just a few years after the end of World War I …. 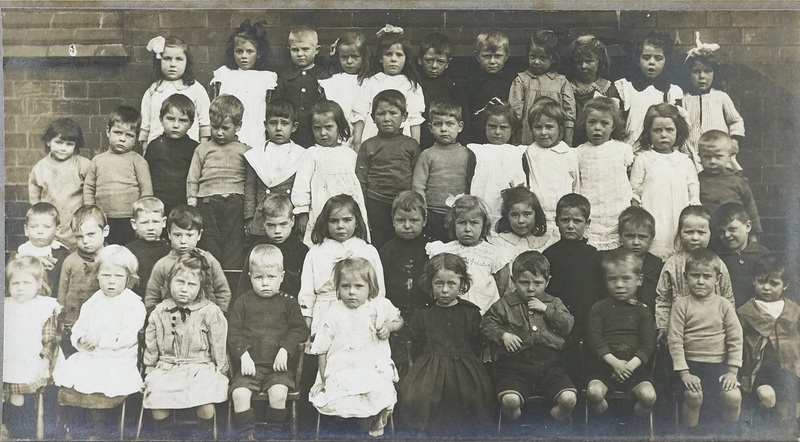 The children in the above photo were born about 1914, and in the one below, about 1909. The following was posed in the early 1950’s. Perhaps someone recognises a face ?? 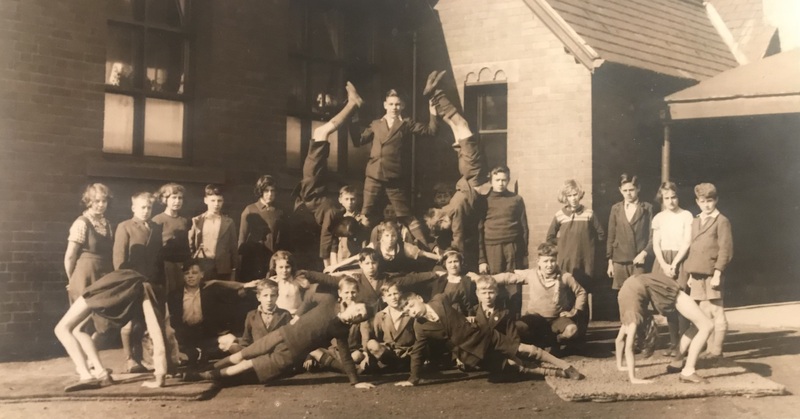 Arthur is the lad holding the pivotal pose, in the top centre !! 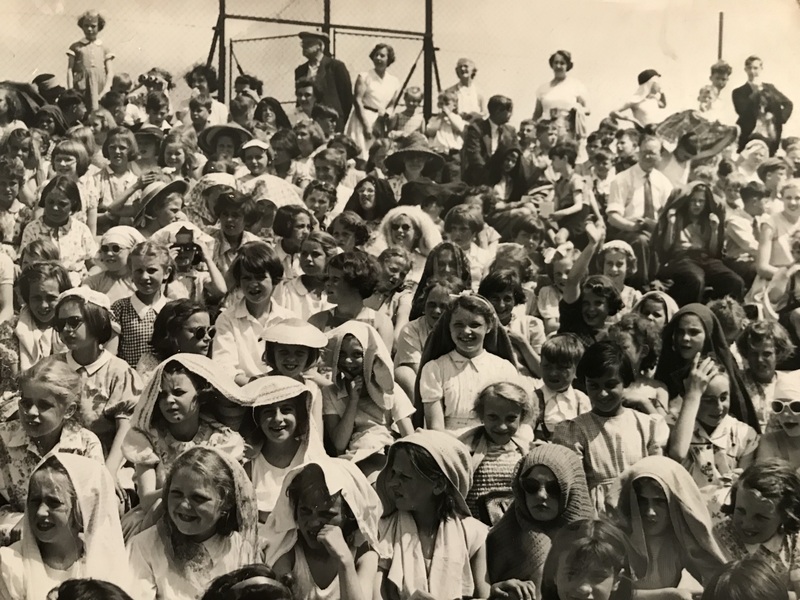 It is believed that the following crowd of eager and enthusiastic scholars is assembled for the Ilkeston and District Annual Sports Day, held at the Rutland Recreation Ground, probably in the summer of the mid-1950’s (1954 or 1955 ?). I have divided the original photo into sections so that you can see more detail … this first section is the front left. 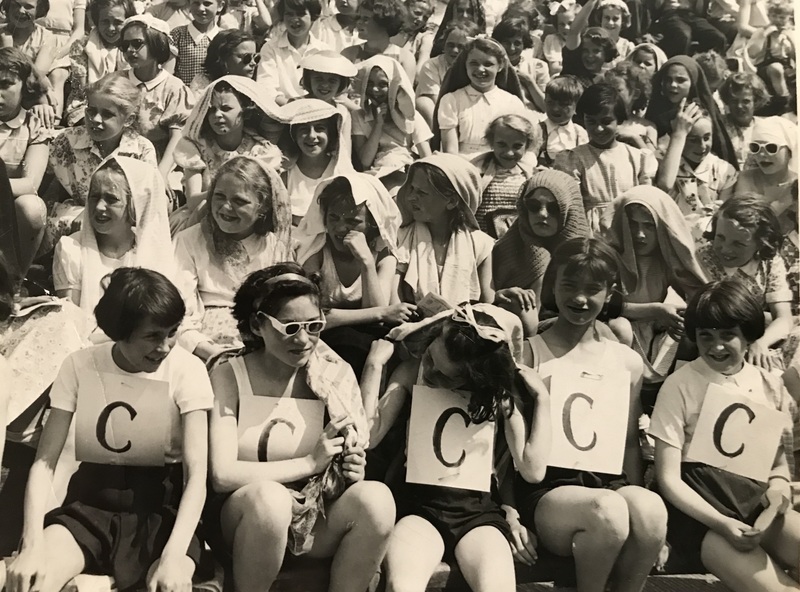 ( showing competitors for Chaucer Girls School at the front and their Chaucer ‘supporters behind them)…. Below is the front right …. … and this is the back right. And finally, the complete photograph …. . Where’s Wally ?